Become the envy of your friends and neighbors by installing artificial grass in your Vancouver home! Enjoy a beautiful green lawn all year round! Ever dreamed of enjoying a game of golf in your own backyard? Now you can with SYNLawn's backyard/indoor putting greens, perfect for practicing your game at your leisure! Perfect for businesses, schools, municipal parks and more, our artificial grass can be seen all over Vancouver. Save money, time, and labor without sacrificing a beautiful lawn! In an effort to stay on the cutting edge of urban sustainability, the city of Vancouver has put an action plan in place to become the greenest city in the country. SYNLawn is proud to play a part in this effort by providing synthetic grass to residents and business owners. Our artificial grass systems are made with recyclable and renewable resources to maintain our high standard of environmentally-friendly products. From pet areas to commercial lawns, we have artificial grass systems available for almost every application imaginable. With SYNLawn Vancouver, you can positively impact the community, save money on your monthly water bill and discover a more durable landscaping solution. From the backing to the fibers themselves, our turf is manufactured responsibly with renewable resources. Our EnviroLoc™ Backing System utilizes a multilayer component that locks turf fibers in so there is no displacement or shedding. Unlike other turf backing systems, EnviroLoc™ replaces petroleum-based polymers with polymers that are made from bio-based materials. This makes our surfaces even safer for kids and pets to use. For environmentally conscious contractors, SYNLawn is the obvious choice! Our innovative design techniques and recyclable materials perfectly line up with your company’s values. Your clients will love the natural look and feel of our artificial grass and your business may even qualify for LEED credits. Busy residents and business owners know how tedious lawn care and upkeep can be. SYNLawn offers a break from mowing, watering and weeding forever. Our grass is easy to care for and never requires water or toxic fertilizers to maintain a lush, green appearance. Even after heavy foot traffic or playtime with the pups, a quick brush can revive your lawn. At SYNLawn Vancouver, we’re big believers that you should spend more time enjoying your outdoor space and less time maintaining it. There is no end to what you can accomplish with our exclusive synthetic grass systems. 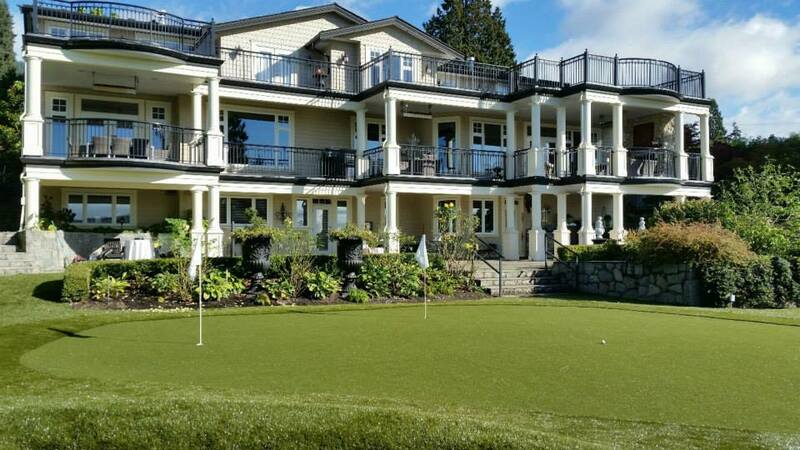 SYNLawn Vancouver offers artificial grass with high safety and fire ratings, extra drainage and various styles to accommodate your style preferences. We’re happy to work with you to achieve the outdoor space of your dreams. Our contractors can help you determine your landscaping needs and find the right turf system for your property. 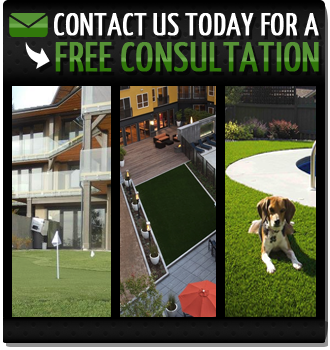 Schedule your residential or commercial turf consultation today to receive a free estimate on your project. Learn more today!